Olympus is one of the worlds leading manufacturers of optical products that includes binoculars, film and digital cameras as well as voice products, endoscopy, microscopy, bioanalytics and diagnostics. Formed in Japan in 1919, under the name of Takachiho Seisakusho, the company initially specialized in microscope and thermometers. The name came from Mt.Takachiho which is believed to be the home of gods and goddesses. 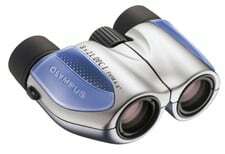 Then when the company moved into Europe in 1921, the name was changed to Olympus after Mt. Olympus, which like Mt.Takachiho is believed in Greek mythology to be the home of the twelve supreme gods and goddesses. Magellan binoculars are designed for the extreme outdoor enthusiast: The Nitrogen-filled body makes them waterproof, dirtproof and fogproof. 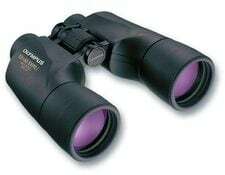 The come with high index Bak-4 prisms and have fully multi-coated lenses, making these quality high end binoculars ideal for activities like hiking, boating and camping. Designed as birdwatching and wildlife viewing binoculars, the Olympus Pathfinder binoculars come with a host of highly advanced features such as BaK4 prisms and fully multi-coated lenses giving you crisp, sharp images in even in low light light. 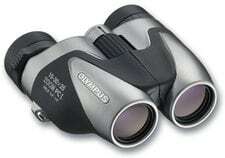 The EXPS I Series are a great choice for most outdoor activities. Described as affordable optical power, the trooper range of outdoor, nature & wildlife binoculars offer a good quality binocular at an affordable price. They still have high quality optics and have a tough high quality finish and boast an extra wide field of view of 65° the DPS I Series are sleek, good looking binoculars for perfect for the outdoors. 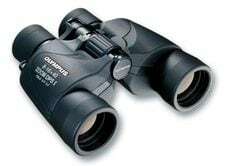 The flagship of this range is the 8-16x40 Zoom DPS I which has High-power 8-16x zooming capability. 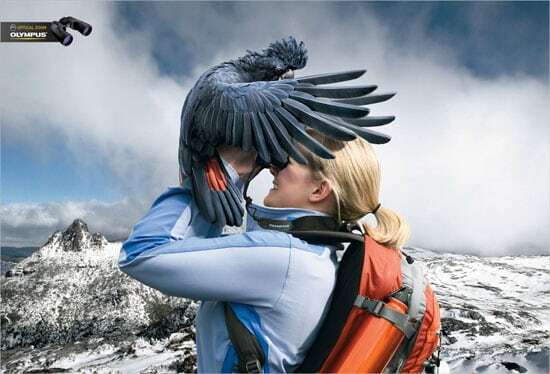 The small, lightweight, multi-coated compact Tracker series are described as affordable binoculars for hikers and roamers. 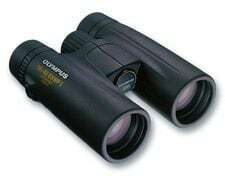 Two of the Olympus Tracker Binoculars, the Tracker 10-30x25 Zoom PC I and the Tracker 8-16x25 Zoom PC I allow you to Zoom in and out on your subject so you can see both the "small" and the "big" picture from wherever you are. 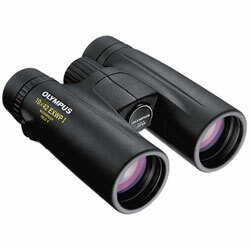 There are only two models in the The Olympus Outback RC-I Series, both have high quality Bak-4 prisms and multicoated lenses brings these stylish binoculars are equally at home in the bush, sporting event or at the theatre where they will bring the drama and the sophistication of the stage performance close to you. The light (195g) and compact design will mean that you can easily keep them in a pocket for easy access. Described as easy use, easy view everyday binoculars, that are both affordable and stylish, the Roamer all-purpose binoculars from Olympus are both compact in size and light in weight so you can easily carry them no matter where your destination. 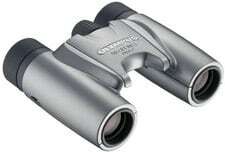 With three models in the series, the Olympus Outback DPC I b binoculars also feature built-in dioptric corrections allowing you to take off your glasses.